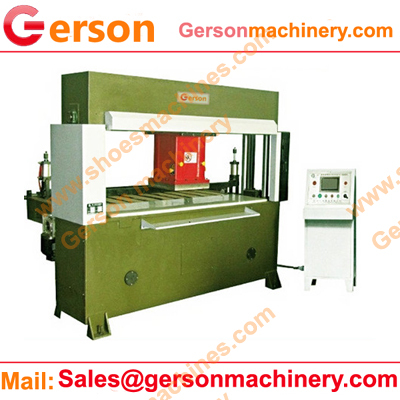 Sponge foam sheet hydraulic traveling head cutting machine is built and designed by Gerson which is about 30 years die cutting machine manfuacturer. 1.The mechanism of double oil cylinder,gantry type guiding and traveling head press four-column automatic balancing connection rod can guarantee the same cutting depth of each cutting position. 2.The adoption of double-hand operation ensures safety for operators. 3.The hydraulic system operates under enclosed environment,it can be used for all kinds of the working environments. 4.Each point cutting force balance,precise control under the cut point. 5.The cutting head can automatically move horizontally,with excellent operating visual field and safe and reliable operation.